Pastor Palmer served the church faithfully for 21 years. In the fall of 1986, he retired because of health problems. He was unanimously named Pastor Emeritus of Sonlight Baptist Church. In the spring of 1987, the church called Rev. Billy Driskell as Pastor. 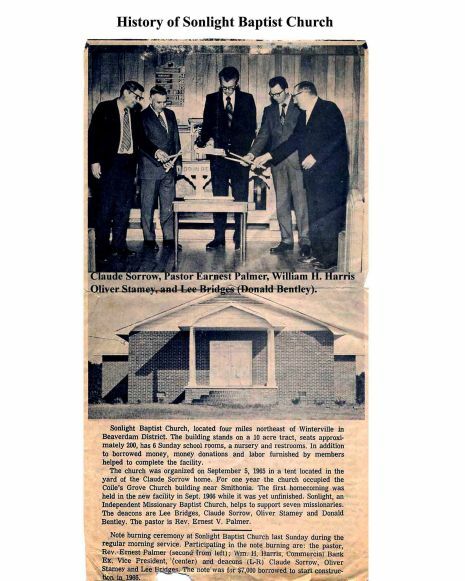 He began a building program and soon a new 5000-square-foot sanctuary and 5000-square-foot basement were underway. Before the new building was complete, Bro. Driskell felt the Lord calling him to another church. He resigned in June 1991. In July 1991, the church called Dan Corbett (who was already attending our church) as Pastor. 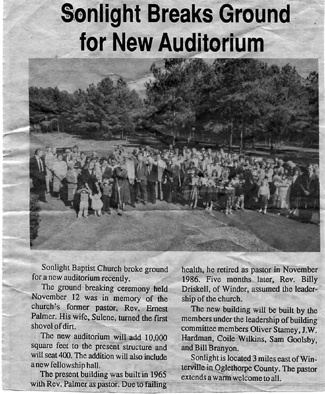 We moved into the new sanctuary at the end of 1991. Pastor Corbett resigned in June, 2003. Our community was without a Pastor for over a year but was blessed by having many great men of God willing to fill the pulpit until the Pastoral Search Committee asked Jim Peterson to stand as pastor. The church unanimously elected Bro. Peterson. Bro. Peterson began as Pastor on August 1, 2004. He resigned in February 2011. A Pastoral Search Committee began work immediately, again with many great men of God filling the pulpit. Almost three months to the day that the committee began their work, the church elected Bro. Joe Davis as the new Pastor. Bro. Davis began as Pastor on May 29, 2011. 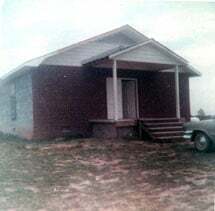 The history of Sonlight Baptist Church would not be complete without mentioning Preacher Ray Jenkins and his wife Joyce. From the beginning, Ray and Joyce have been a constant, loving presence and friend to our community. Bro. Ray filled the pulpit countless times when we were without a Pastor. He offered us much prayer, counsel, and encouragement as well as the Word of God when it was needed most. Ray and Joyce Jenkins are truly an important part of the history of Sonlight Baptist Church. Our church history is indeed a story of God’s faithful provision for His people over the past few decades. We invite you to join us as we continue living according to God’s word. This story continues in our Christian worship and ministries. Call us at (706) 742-9575 and be part of the story today.